Stampede American Flag bug shields are second to none. There's nothing that stands more as a symbol of our patriotism, our freedoms, our sacrifices, and our country than the United States flag. RealTruck is happy to offer the Stampede US Flag bug shield for those who want to add a small, but highly visible piece of their love for our country to their pickup truck or SUV. Made from impact resistant acrylic material, American Flag bug deflectors are covered in high quality graphics that are scratch and fade resistant. Their ultra violet light stability means they'll last a long time without looking washed out or faded. 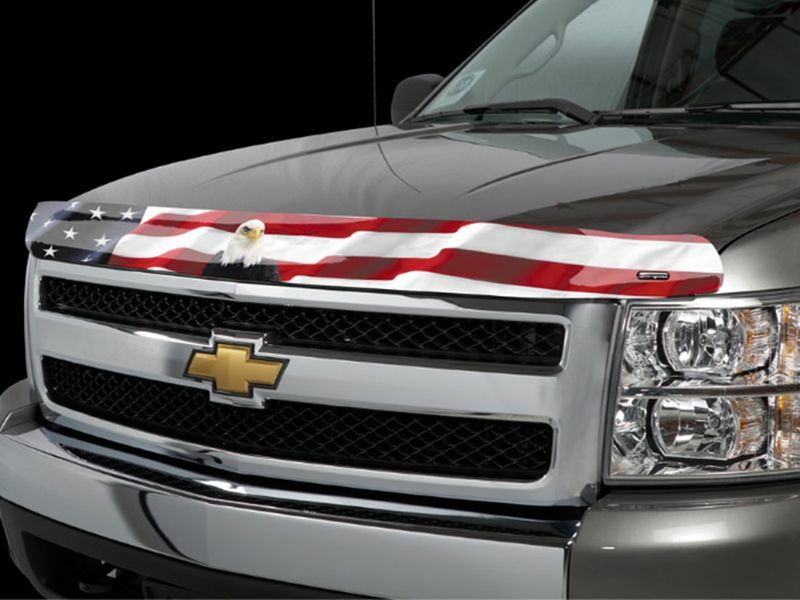 US Flag deflectors are a wonderful way to decrease the number of bugs that hit your hood and windshield, while also cutting down on hazardous small rock chips and debris that seem to make a bee-line for your vehicle whenever you take to the road. The patriotic theme only adds to your ride's style. Choose from Stampede flag designs with or without a bald eagle in the center. 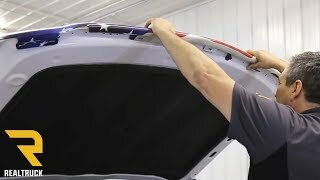 All US flag bug shields are custom made to fit your vehicle so you not only get an awesome OE look, but you get an aerodynamic performance you would swear comes from the factory itself! Stampede offers a one year warranty against defects in materials or workmanship on these US Flag bug shields. The Stampede US flag bug shield offers an easy installation. The installation instructions sent with your American flag bug shield are clear cut and easy to read. For additional information please call us at 877-216-5446.